In his brief four-year reign as a superstar, Jimi Hendrix expanded the vocabulary of the electric rock guitar more than anyone before or since. 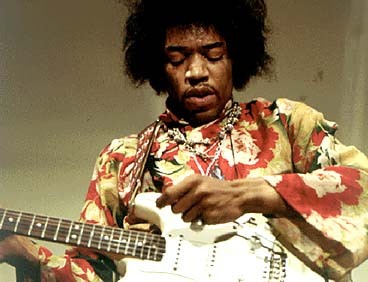 Hendrix was a master at coaxing all manner of unforeseen sonics from his instrument, often with innovative amplification experiments that produced astral-quality feedback and roaring distortion. His frequent hurricane blasts of noise and dazzling showmanship -- he could and would play behind his back and with his teeth and set his guitar on fire -- has sometimes obscured his considerable gifts as a songwriter, singer, and master of a gamut of blues, R&B, and rock styles. When Hendrix became an international superstar in 1967, it seemed as if he'd dropped out of a Martian spaceship, but in fact he'd served his apprenticeship the long, mundane way in numerous R&B acts on the chitlin circuit. During the early and mid-'60s, he worked with such R&B/soul greats as Little Richard, the Isley Brothers, and King Curtis as a backup guitarist. Occasionally he recorded as a session man (the Isley Brothers' 1964 single "Testify" is the only one of these early tracks that offers even a glimpse of his future genius). 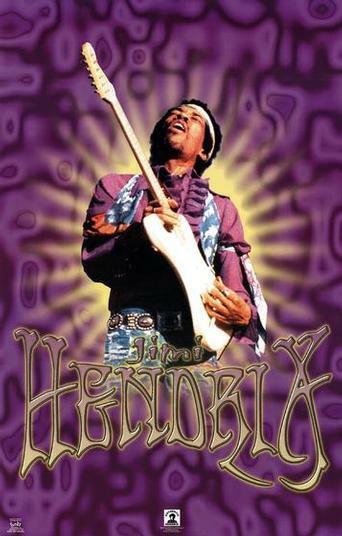 But the stars didn't appreciate his show-stealing showmanship, and Hendrix was straight-jacketed by sideman roles that didn't allow him to develop as a soloist. 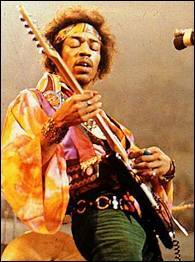 The logical step was for Hendrix to go out on his own, which he did in New York in the mid-'60s, playing with various musicians in local clubs, and joining white blues-rock singer John Hammond Jr.'s band for a while. 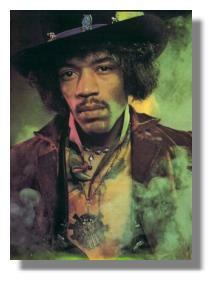 The final two years of Hendrix's life were turbulent ones musically, financially, and personally. He was embroiled in enough complicated management and record company disputes (some dating from ill-advised contracts he'd signed before the Experience formed) to keep the lawyers busy for years. He disbanded the Experience in 1969, forming the Band of Gypsies with drummer Buddy Miles and bassist Billy Cox to pursue funkier directions. He closed Woodstock with a sprawling, shaky set, redeemed by his famous machine-gun interpretation of "The Star Spangled Banner." 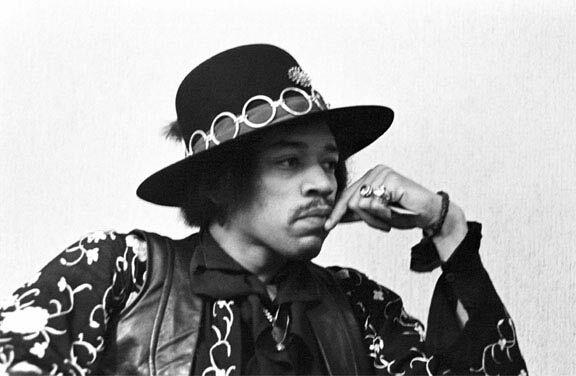 The rhythm section of Mitchell and Redding were underrated keys to Jimi's best work, and the Band of Gypsies ultimately couldn't measure up to the same standard, although Hendrix did record an erratic live album with them. In early 1970, the Experience re-formed again -- and disbanded again shortly afterward. 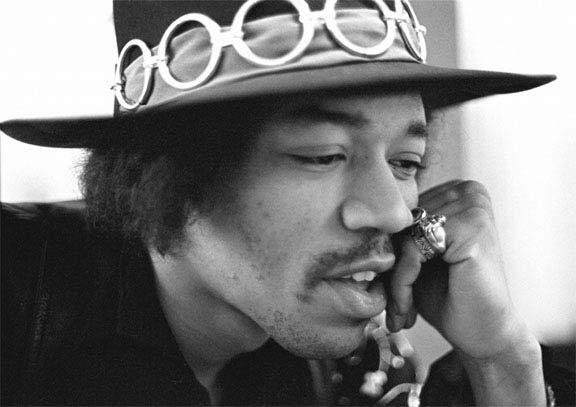 At the same time, Hendrix felt torn in many directions by various fellow musicians, record-company expectations, and management pressures, all of whom had their own ideas of what Hendrix should be doing. 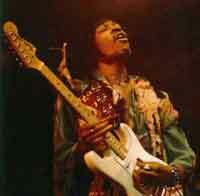 Coming up on two years after Electric Ladyland, a new studio album had yet to appear, although Hendrix was recording constantly during the period.